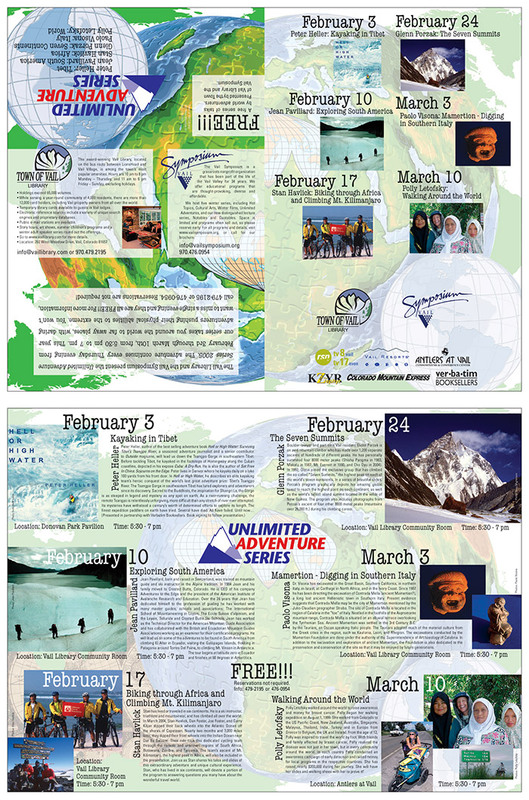 Caption Brochure and poster to promote a series of free adventure talks. Folds in half and then thirds. Top: Self-mailer panel and introductions. Bottom: inside details page, which also functions as a poster.